I appeared in RAS pre and fortunately cracked it too, now the supposed problem is that I know almost nothing of RAS mains. I've also appeared for IAS mains this year with Philosophy and Sociology and hoping for the best. I have prepared for IAS comprehensively so I am in a deep confidence that for subject papers I won't have to worry much, However abt Rajasthan GS paper and General Hindi paper I have no idea at all. How much I will have to study, I much I'll get?Any books you can suggest? or Coaching material in English? Also there is deduction of marks if answer limit is crossed? In my prep for IAS we used to write some fancy starting and a conclusion, but if there will be such sharp answer limits I am afraid if I would be able to justice with the question asked. Also how exactly you write answers in paper(I am talking abt the presentation), further are there any books for English medium students for GS and even guide type books for Sociology and Philosophy? How much time it is going to take for my exclusive RAS mains preparation. I have perhaps a dozen more question to ask..If you could give me your cellno. or of someone else who you think can guide me for a while. I,ll be in Jaipur till 30th Nov.
Congrats to clear first hurdle and with little planning and hard work you can crack the exam easily since you have already gone thru the optionals so u need to prepare for comp papers, for eng I don't think u need any exra help for hindi u can go thru vyavharik hindi and for raj gk go thru history, geo and eco of Rajasthan. Good Luck. Can we change subjects for RAS mains now??? @sanjay : No you can't. 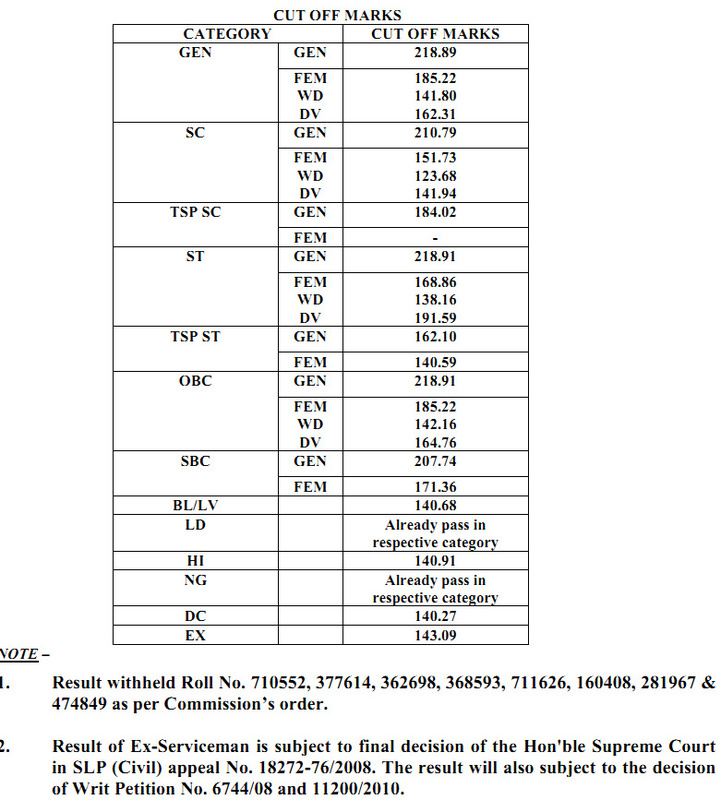 sir how they calculate raw mark and scaled mark.....when i was searching ras pre result a girl got gk 75 and public adm. 18 she is selected.but i got in gk 73.18 and in pb 27 but i am not selected....how is it possible ? i dont know about scaling........and suggest some books for general science..and rajasthan culture art and economy..according new pattern for RAS. ny idea Naresh jii when Main-2012 going to take place. sir can we change one optional paper in mains or not ?? no you can't change any optional in mains now. sir how is the study material(complete including pub ad and history) of zenith education institute for ras mains exam ? sir then please suggest in short what can be done to prepare for the exams within a short period of around 2 months , that is what can be the useful study material for a candidate with not that good preparation till date(compulsory subjects as well as pub ad and history)?? Go for some std books revise and re revise it. For Pub Admn Laxmi Kant is bible for paper I, for second go for M P Sharma and Indian Constitution. For history Dictionary of History by Rajasthan Hindi Granth Academy is good book beside some other which u can discuss with your close friends. And the best thing is to have some good company of friends to discuss and study. hi,regarding query of change in mains optional subject..i called at RPSC Helpline No: 0145-5151212..they told me dat subject can be changed now either by sending an application(mentioning subject change)+ postal order of 100rs + photocopy of our prelims form..or we can personaly give all these at commissions office on working days. I am confused now as you said that subjects cant be changed now..plz clarify..m waiting for ur reply..thnx. 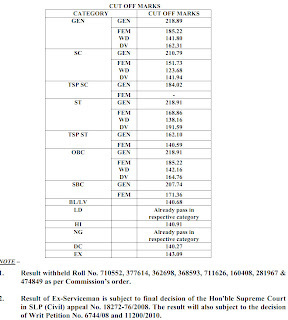 @rinkesh : I am sorry to say that but last year they have not changed the subject in mains so if you called the RPSC and they replied like that then go ahead as they are the only authentic information one should rely on. Also check the website for details and share with others if you have any other info in this regard so that others will be benefited with this. 1.whether other state candidates are treated at par with Rajasthan candidate in interview. 2.What is the safe score(approx.) for other states candidates in mains to get executive post. i would like to know, what usually is the toughness level of the mains paper for a optional subject(like for example computer engg.) in comparison to toughness level of the same optional paper in pre exam?? whether they ask more tough questions (that is toughness is more)or the questions with the same level of toughness?? what are your views and experience over this...? Please tell me about the chances of success for Other state candidates?? Do they get good marks in interview?? Because experience of haryana PCS tells otherwise?? ?